Ernest "Dean" Wilcox, son of Claude and Maxie (Kincer) Wilcox was born in Mayking, Kentucky on March 21, 1944. He entered eternal life on Thursday, August 30, 2018 at Johnson City Medical Center, being 74 years, 5 months and 9 days of age at the time of his passing. Dean married the love of his life, Peggy Combs on May 29, 1964. He was a loving husband, father, grandfather, brother and a great friend to all that knew him. Dean was a member of the Millstone Missionary Baptist Church for many years. 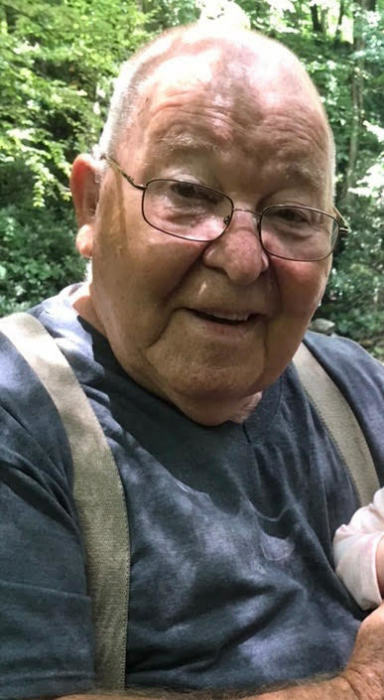 He is survived by his wife Peggy Wilcox of Mayking, Kentucky; one son, Michael Dean, of Bean Station, Tennessee; one daughter Lisa Kay of Pikeville, Kentucky; one granddaughter, Kaci (Logan) Lucas; and the light of his life, great-granddaughter, Kynlee Harper Lucas, who was born on his birthday. Also surviving are a host of friends and relatives. He was a retired route supervisor for Terry's Snack Foods and also a retired coal miner. He loves spending time with his granddaughters and at his place in Tennessee. Dean was preceded in death by his sister, Dolly Wilcox Polly; brother Ronnie Gayle Wilcox; and his parents, Claude and Maxie Wilcox. Funeral: 2:00 O'clock P.M. Sunday, September 2, 2018 at the Millstone Missionary Baptist Church with Bill Craft, Jeff Hart, Chris Walker, Steve Peakes, and Barry Lucas officiating. Visitation: 6:00 P.M. Friday and 6:00 P.M. Saturday at the Millstone Missionary Baptist Church. Burial will follow in the Webb Cemetery at Mayking, Kentucky.